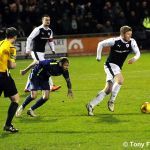 Two second-half goals saw Raith knocked out of this season’s Scottish Cup at the third round stage, as visitors Hibernian secured their fourth win over the Rovers this season. 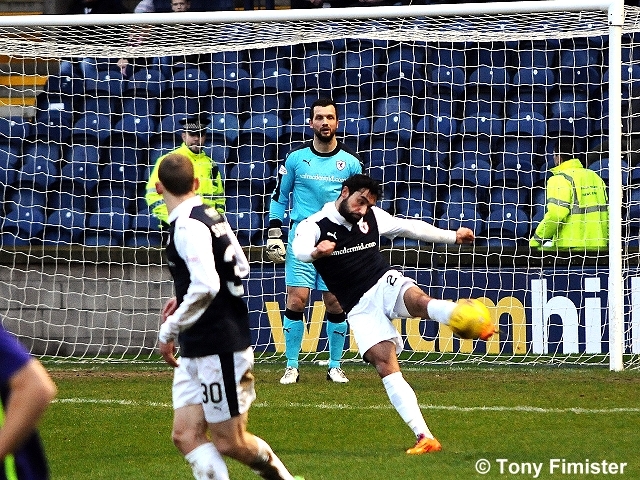 Shortly after two attacking substitutions from manager Alan Stubbs, strikes from Darren McGregor and Dominique Malonga just after the hour were enough to ensure safe passage into the fourth round for the Easter Road side, while Raith were left to rue missed chances during a positive first half. With a lengthy injury list, manager Ray MacKinnon put out an XI missing several key ingredients. 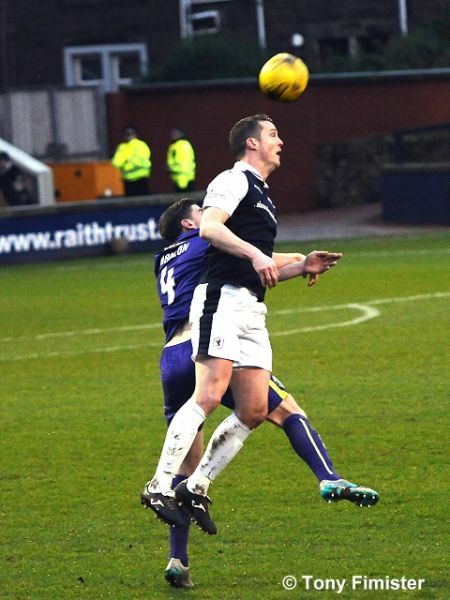 Long-term injury victims Toshney, Thomson, and Vaughan remained out, while although Mark Stewart trained well during the week, the diminutive striker missed out, with Jon Daly taking a lone role upfront against Hibs’ formidable centre-half pairing of Fontaine and Hanlon. 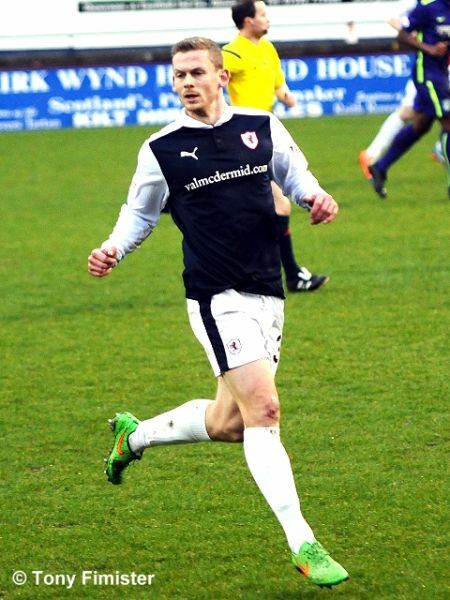 David Bates continued to deputise at right-back, whilst Ross Matthews started for the second consecutive week midfield. While the visitors’ line-up had numerous familiar faces, Alan Stubbs freshened up his side with two January signings. Midfielder Niklas Gunnarsson and striker Chris Dagnall had joined from Norwegians Valarenga and Indian side the Kerala Blasters (possibly the first time those two clubs have been mentioned in the same sentence), with midfielder Fraser Fyvie suspended and high-profile striker Jason Cummings missing out through illness. Under heavy grey skies accompanied by decidedly wintery temperatures, it was no surprise the game took most of the first-half to reach an appetising temperature. 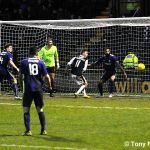 Callachan was unfairly booked for an early nibble at Bartley, Megginson and McGinn were active down their sides’ respective left-flanks, and Davidson clattered into the far-side linesman with an early sliding challenge. Quality passing and penetrating forward play were largely absent. On ten minutes, a Callachan drive flew over Oxley’s bar. 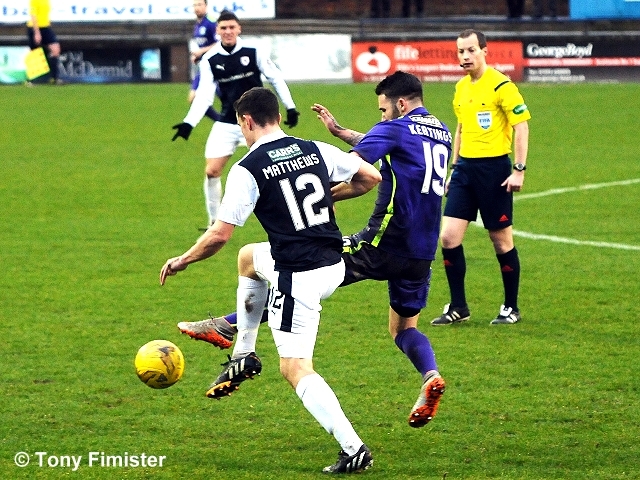 Moments later, it was Callachan again scrapping with Hanlon to reach a fine Craigen centre – keeper Oxley dived on the loose ball to prevent a scoring chance. 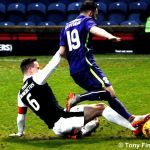 Referee Willie Collum looked long and hard at Scott Robertson after a jostle with Dylan McGeouch, and also kept his yellow card in his pocket after Malonga fell to the floor under a soft challenge on half-way. 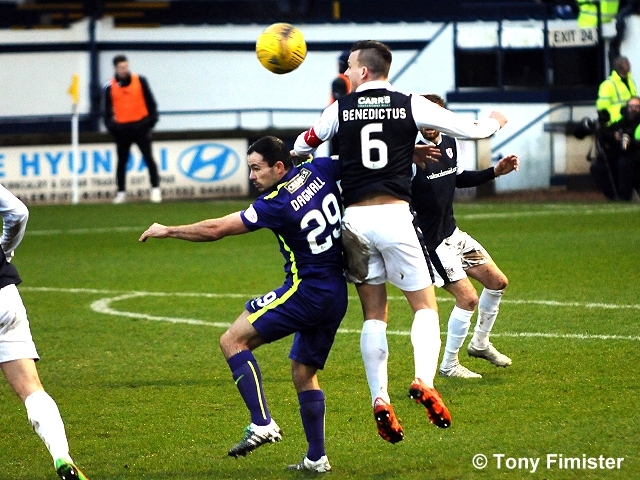 Manager McKinnon kept up a long-running dialogue with the experienced official, the Raith manager clearly angry at a succession of free-kicks in the visitors’ favour. 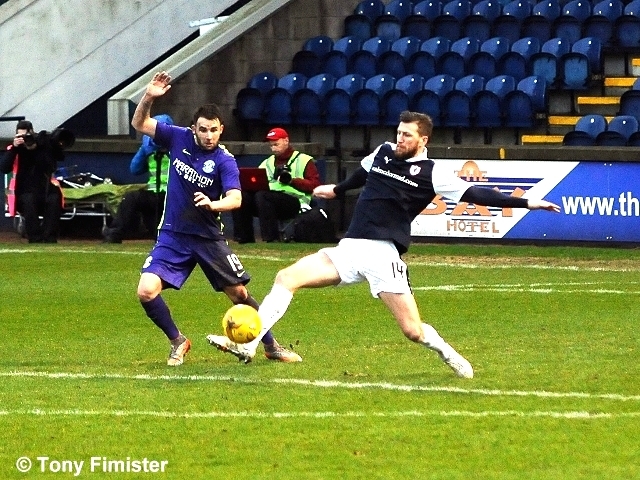 Half-way through the first half, a fine chance for Raith. 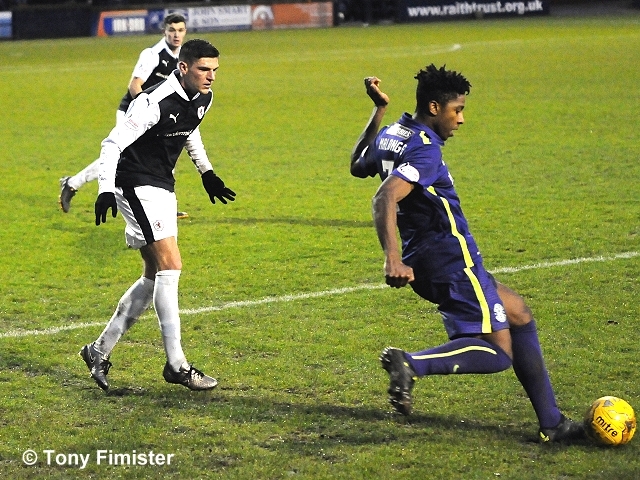 Megginson broke in midfield and released the energetic Craigen down the right-flank. 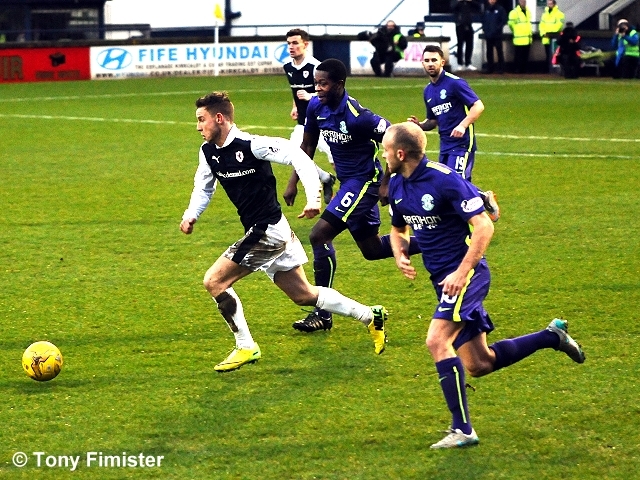 The midfielder’s excellent early centre was met at a stretch by Rory McKeown, buccaneering toward goal from left-back – at full speed, the Raith defender’s finish flew high into the Hibs’ supporters. Hibs’ best chance of the half came from a corner – McGinn’s deep cross was nodded back to Fontaine, who’s twisting shot rose beyond the junction of Cuthbert’s post and bar. 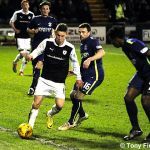 While the first half had taken some time to get going, arguably it was Raith who had had the better of the opening forty-five. 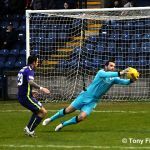 Bartley and McGeouch had patrolled the central third well, but in a half of few clear-cut opportunities for running attacking play, Craigen and Robertson had made more of an impression. 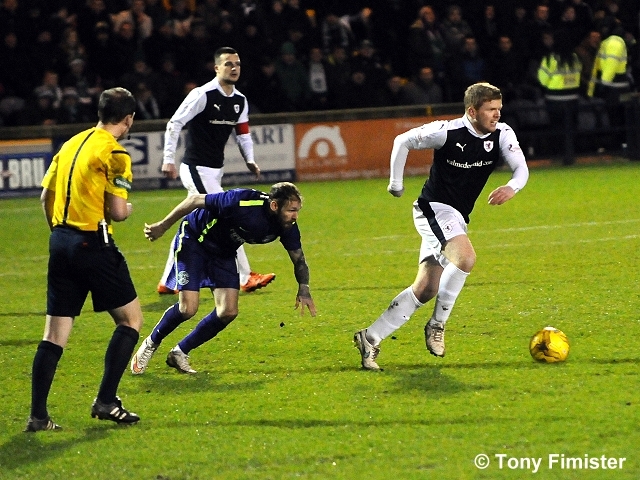 The second-half opened with another Raith half-chance. 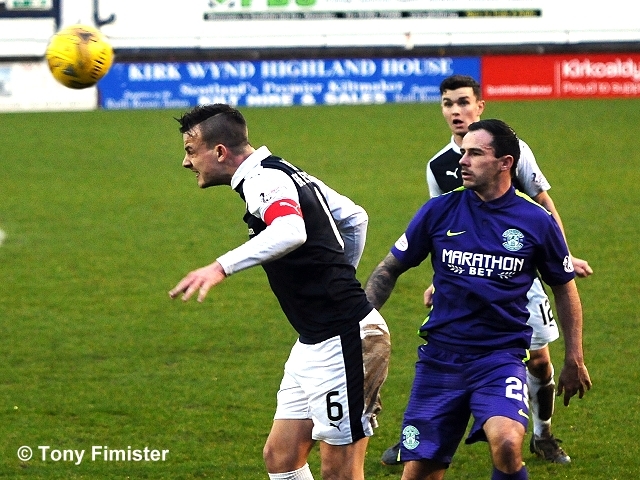 Megginson fed McKeown wide on the left, who’s whipped cross found Craigen who was closed down quickly by Bartley – the Hibs’ midfielder recovered to block Robertson’s shot from the edge of the area. Two minutes later, McKeown looped an unsophisticated up & under in the direction of Daly, who’s header lacked the power to trouble Oxley. 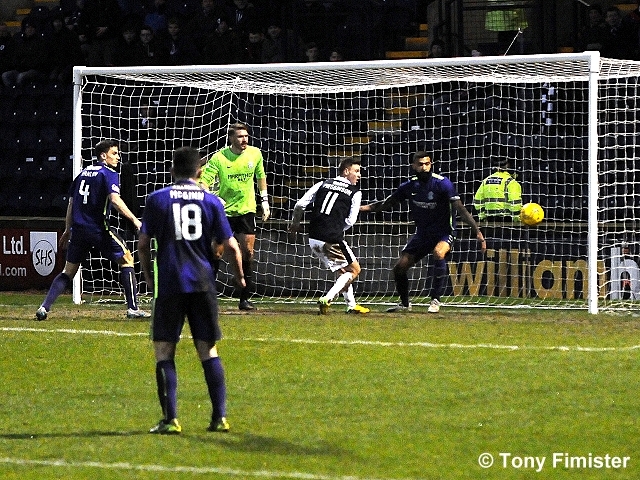 Hibs’ first genuine shot on goal came in response – Hanlon clipping a drive straight at a solid Cuthbert. 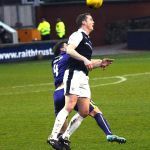 In his last game for Raith before joining Hearts in a coaching role, Daly had an imposing game against Fontaine and Hanlon. Often outnumbered, and with colleagues straining to give him a target for knock-downs and flicks, Daly’s strength in the air and control on the ground provided a great platform for others to spring forward. 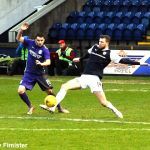 Whilst Raith struggled in working through midfield on the ground, Daly made a real impact and enjoyed one of his best games in a Raith jersey against strong opposition. 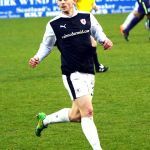 Before the hour, Stubbs withdrew debut striker Gunnarsson and midfielder Bartley and replaced them with the mobile Liam Henderson and former Rangers’ defender Darren McGregor. Both made an immediate impression. 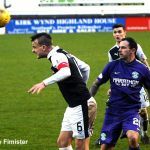 Henderson took up Bartley’s position in midfield, but looked to break off McGeoch rather than move side to side – Hibs looked to have accelerated a notch with Henderson’s introduction. Henderson was involved in an exchange of passes with McGeouch which gave Dagnall his first sight of goal in a Hibs jersey – Cuthbert’s superb save high to his left denied a debut goal. 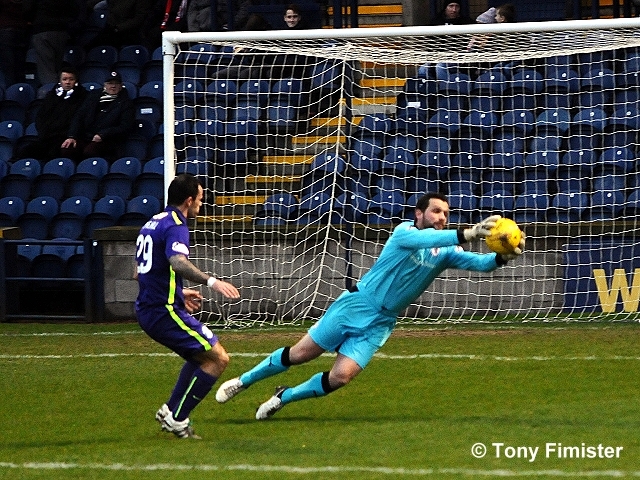 The save no doubt earned the Raith keeper today’s man-of-the-match award, thoroughly deserved. McGregor’s first touch of consequence opened the scoring on the hour, giving Hibs their 1,000 Scottish Cup goal and the defender’s first goal for Hibs. 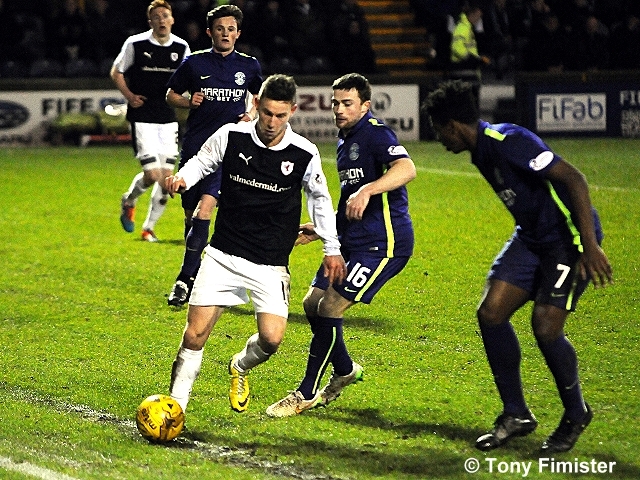 Stevenson’s cross from the left fizzed across the Raith six-yard box. 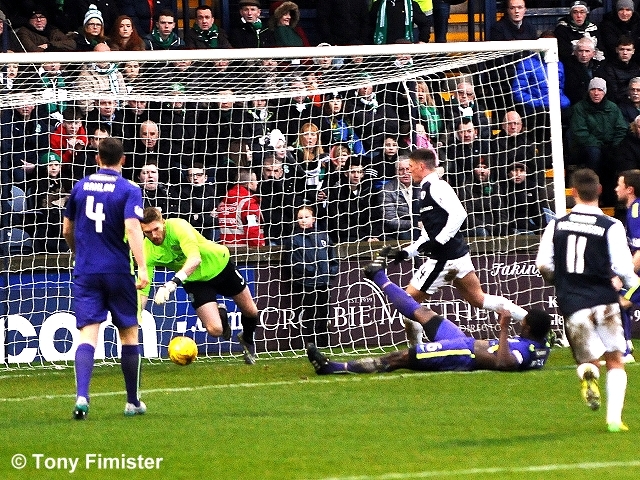 Benedictus could only partially make contact, and – with the Hibs support on their feet behind Cuthbert’s goal, McGregor’s first time blast moved in the air and went straight through the Raith keeper. A minute later, it was two. 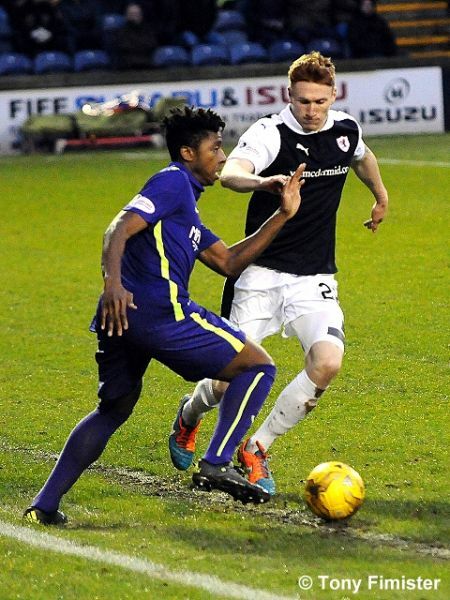 Before Raith’s midfield had time to settle after the Hibs opener, Malonga dropped deep to collect the ball inside from the left, and settled himself before firing a rising drive into Cuthbert’s top-left corner. The ball may have taken a slight deflection on its way in, but the quality of the strike would have troubled any keeper. 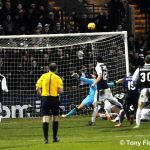 While Raith had edged the first half if measured in half-chances, Hibs had clearly moved up a gear following their two second-half changes. Ray McKinnon acted immediately, withdrawing Matthews for Grant Anderson, the winger moving straight to the right-flank with Megginson joining Daly in a more advanced role. There was almost an immediate result – Anderson’s first cross found Daly’s head at the far post, with the towering striker’s nod-down just bouncing beyond Megginson across the goal. In hindsight, if Raith were to achieve parity in the closing stages, this was the chance to put Hibs back on their heels. With the large Hibs contingent in buoyant mood as the match moved into its closing stages, the visitors were able to protect the majority of possession – McGeouch, while not bursting with the vigour seen in previous contests between these sides, still looked a cut above his counterparts with intelligent running and sharp promptings of his team-mates. 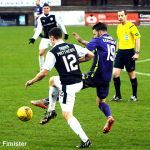 In the last ten minutes, Callachan crashed a drive from distance wide of Oxley’s left-hand post, and with a head-down charging run slalomed his way to the edge of the Hibs’ box, pulling his shot across goal and away. 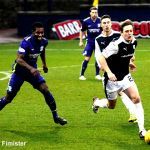 Although Raith hustled and pressed in midfield, the home side were unable to gain sufficient momentum and forward movement to trouble the Hibs defence in the last ten minutes. 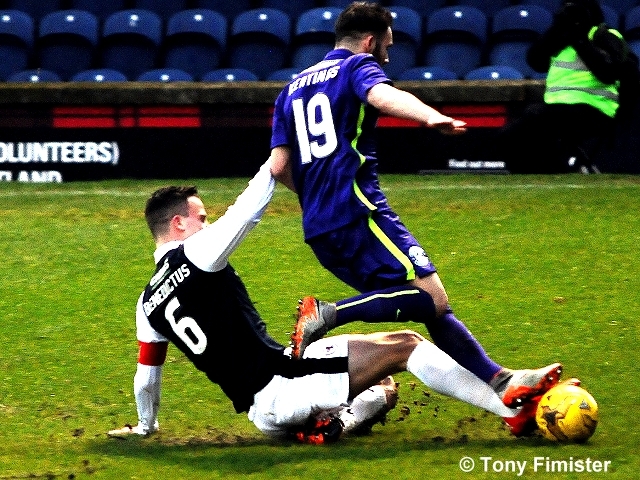 Raith’s cup adventure ends at the third round stage, with Hibs progressing into the last sixteen of this season’s competition, awaiting the draw for the fourth round. 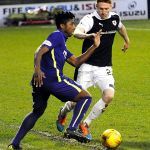 For Raith, there is the chance to get focus back on a league campaign aimed at this season’s play-offs – the home visit of Alloa this Tuesday evening. Welcome to a rainy Starks Park for this Scottish Cup tie against Hibs. 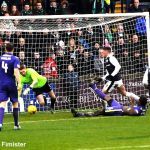 No Jason Cummings in the Hibs team could a huge boost for the Rovers today. 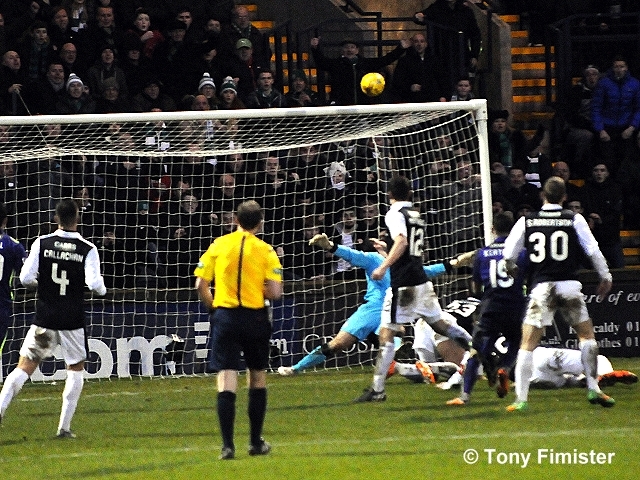 Terrific save by Cuthbert at point-blank range! Goal Hibs. McGregor blasts it in from the angle. 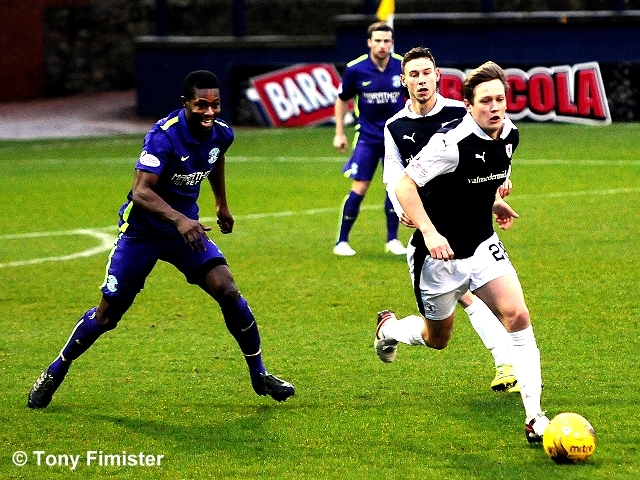 Raith Rovers XI: Cuthbert, Callachan, Davidson, Benedictus, McKewon, Megginson, Matthews, Robertson, Craigen, Daly, Bates. 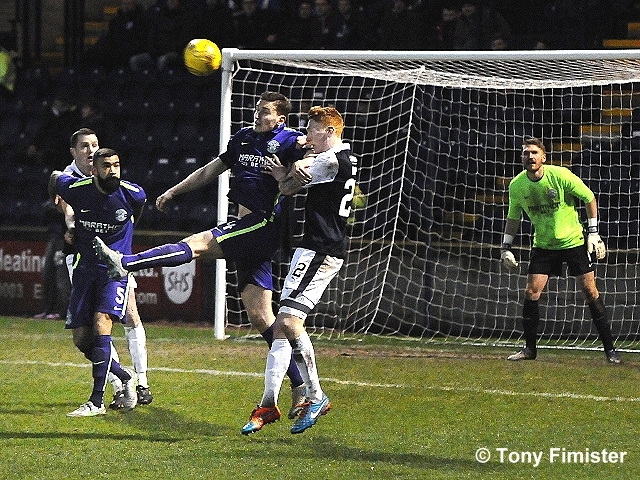 Raith Rovers will be in action at Stark’s Park for the first time since November this weekend, when they welcome Hibernian for a Scottish Cup fourth round tie. 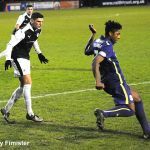 It’ll be the second consecutive weekend that the two teams have faced each other, after the Leith side won 1-0 last Saturday, thanks to a Jason Cummings goal at the start of the second period. The win kept Hibs just three points behind league leaders Rangers, and meant that Alan Stubbs men have now just lost once in their last 16 league fixtures. 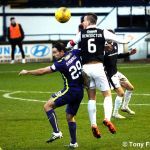 Despite the defeat, Ray McKinnon’s side remain inside the play-off spots, two points ahead of Queen of the South, and having played a game less. This will be the fourth time that Rovers have faced Hibs this season, and so far, they’ve lost on each occasion. 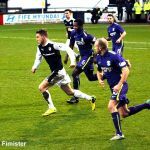 In August, James Keatings and Jason Cummings were on target as Hibs won by two goals to nil, while in October, a rousing second half showing from Rovers wasn’t enough, as they lost their 100% home record, losing 2-1, after Jon Daly replied to first-half strikes from John McGinn and Cummings again. Despite Rovers record against the capital club this term, Rovers can take some solace from an impressive Scottish Cup record against Hibs. 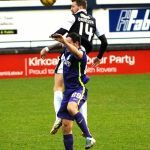 Since 1896, the two teams have met in this competition on 14 occasions, and to date, Rovers have lost only three times. 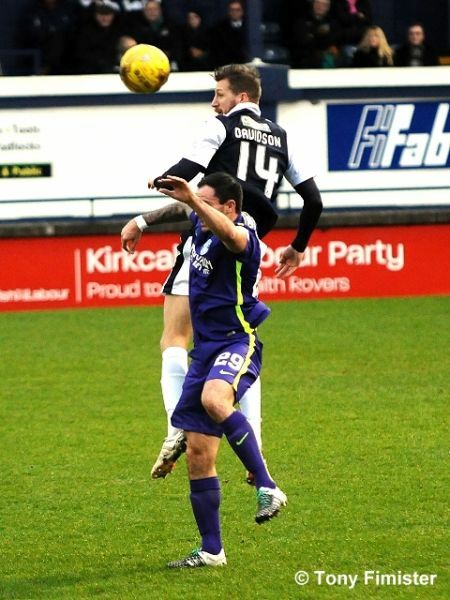 The last time the two were paired together was in 2014, with Grant Anderson memorably grabbing a winner in a five-goal-thriller. Before that, the previous meeting was in 1998, with Raith again putting themselves into the next round, after a 2-1 win at Easter Road, thanks to two goals from John Millar. Saturday’s match referee will be Willie Collum.